Advertising Standards Authority happy with the claim. The iPhone X and XS' cameras are some of the best around on a phone, but that doesn't mean that everyone is happy with Apple's claim that the device can create studio-quality portraits. In fact, a number of people decided to go to Advertising Standards Authority to question the claim that appeared in a number of its TV ads. 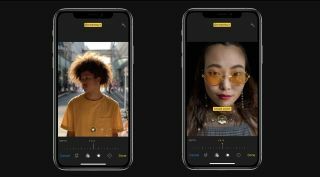 The good news for Apple is that the complaints have been thrown out by the Advertising Standards Authority (ASA) and it can continue to call its camera mode 'studio quality'. "Two complainants, who believed that the phone could not achieve studio quality photography, challenged whether the claim “Studio-quality portraits” was misleading and could be substantiated." To counter the complaints, Apple noted that "there was no industry standard definition of Studio-quality portraits" and the "50mm focal lens in the iPhone X was one of the most popular professional studio portrait lenses and the lighting options available on the phone mimicked what could be done in a studio." In the end, the ASA agreed and explained: "We recognised that there were many effects, techniques and tools used in studio photography which played a vital role in capturing high standard images, many of which were not available to someone solely using the iPhone X. "However, we recognised the emphasis was placed on the significance of the lighting effects on achieving the quality of image the ad demonstrated, and we understood that those images shown were a true reflection of the capabilities of the iPhone X’s camera. For those reasons, we concluded that the ad was not misleading." In our iPhone XS camera review we were utterly impressed with the handset's portrait shots and it currently near the top of our best camera phone guide. Which is obviously the most important thing.